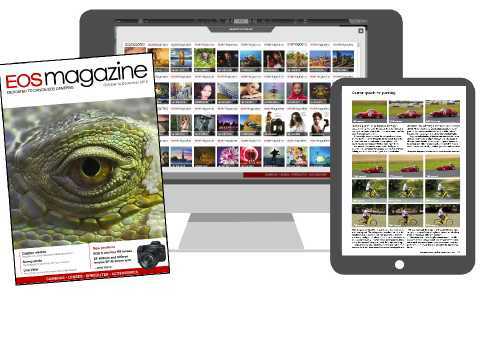 Receive your next four issues in digital as well as print with one of our bundle subscriptions. Print+digital bundle subscriptions are renewable annually. Already paid for lifetime library access (one-off fee option, available until August 2016)? Then you just need to pay for your print subscription – choose one of the options above. Thank you for taking the time to renew your EOS magazine subscription. The renewal rates below are to extend your subscription for a further four issues, delivered free to your door. Your subscription will continue with the next issue as soon as it is published or, if your membership has lapsed, you will start with the current issue. We will write to you, either by email or by letter, when you have had the last issue of your current subscription period. If you have not heard from us, or you are not sure if your subscription has expired, send the EOS ladies an email or give us a call and we'll let you know if you need to renew. 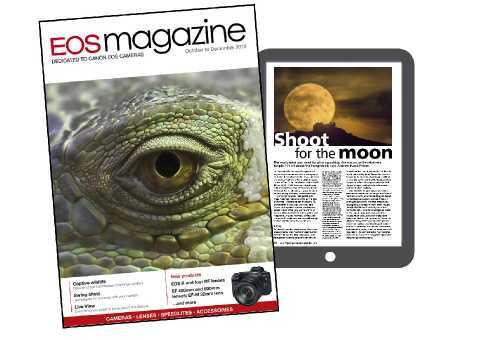 EOS magazine is available by subscription only. It is not sold through newsagents or newsstands. We will write to you when you have received the last issue of your current subscription. If you would like to check your subscription at any time, please contact us. If you change your mind during your subscription period, we will refund the remaining portion of your subscription. No fuss, no quibbles. Fees are billed in GBP (pounds sterling). For payments outside of the UK, the actual amount charged to your card account will be used at the exchange rate used by your card provider on the date the card is billed. Your card will be charged at the time we receive your renewal .